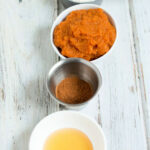 Are you looking for an easy way to detox your skin? This DIY Detox Charcoal Soap Face Wash Bar is an easy way to detox during your normal beauty routine. 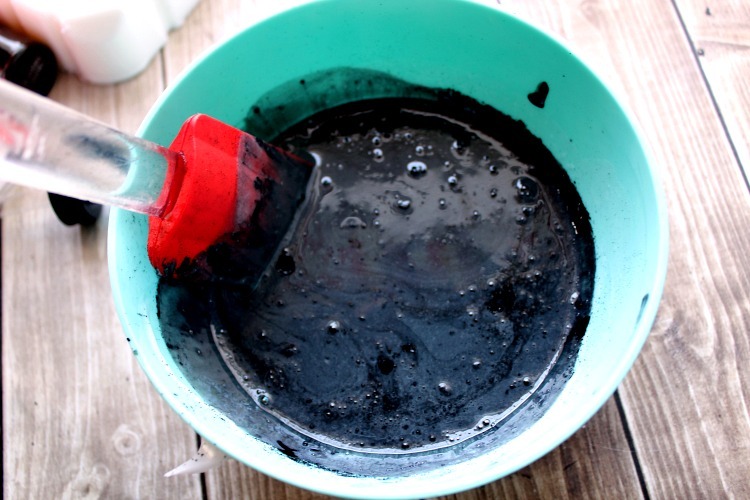 Activated charcoal has made a big splash on the DIY beauty scene for good reason. My family has taken it internally for years as a way of detoxing the body and to help with stomach upset. So it’s no surprise that it can also help on the outside as well! 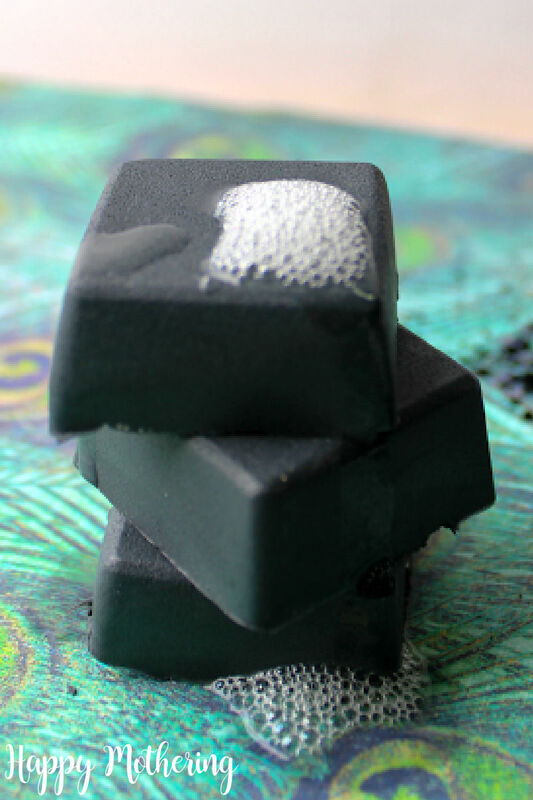 There are plenty of pre-made activated charcoal soap bars you can buy, but it’s fun to make your own. 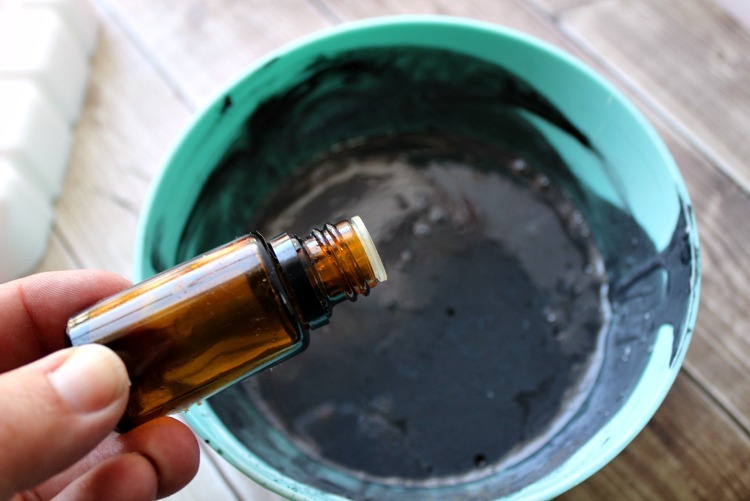 Combined with a good quality moisturizing soap base and a few essential oils, this DIY Detox Charcoal Soap Face Wash Bar will quickly become your favorite part of your morning routine. You can use any combo of essential oils that you like. I typically use frankincense oil for its anti-aging and regenerating properties. It can also reduce pores and acne. I also like to use peppermint oil both because I adore the smell and because it also helps repair skin tissue and soothe dry itchy skin at the same time. I get this question a lot about my beauty tutorials, so I’ll answer it here. The number of charcoal soap bars you can make with this recipe will depend on the size/shape of your chosen mold. When I make charcoal soap for my face, I like to use a slightly smaller mold and just get a new soap more frequently. But definitely go with what you prefer! 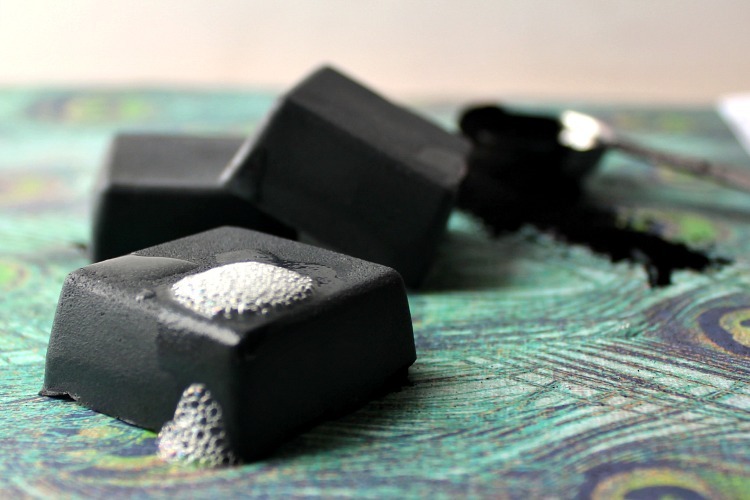 I hope you enjoy using this Detoxifying Charcoal Soap Face Wash Bar as much as I do! Be sure to let me know what you think in the comments after you’ve tried it. Or buy pre-made activated charcoal soap here. To make your soap a little easier to remove from the silicone mold, you can coat the inside with non-stick cooking spray. Cut your soap base into small pieces (1” or smaller) to help the soap melt more evenly and quickly. 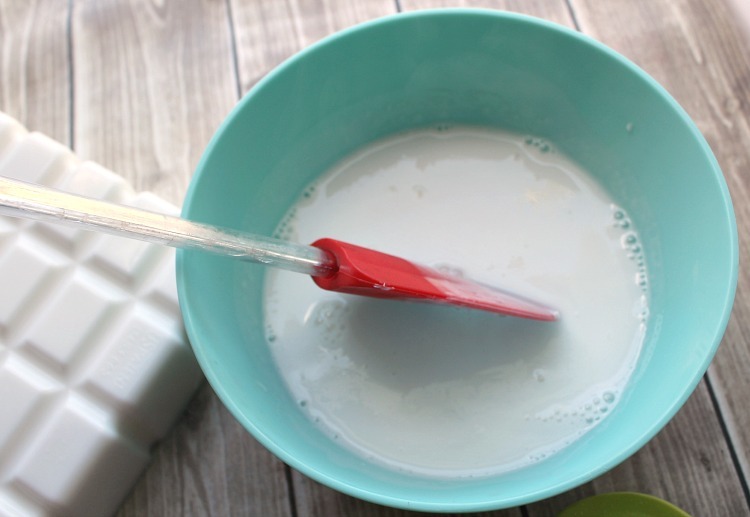 Place the soap chunks into a double boiler and heat over medium heat until the soap is completely melted. If you don’t have a double boiler, you can place a glass bowl into a pan of water to get the same effect. 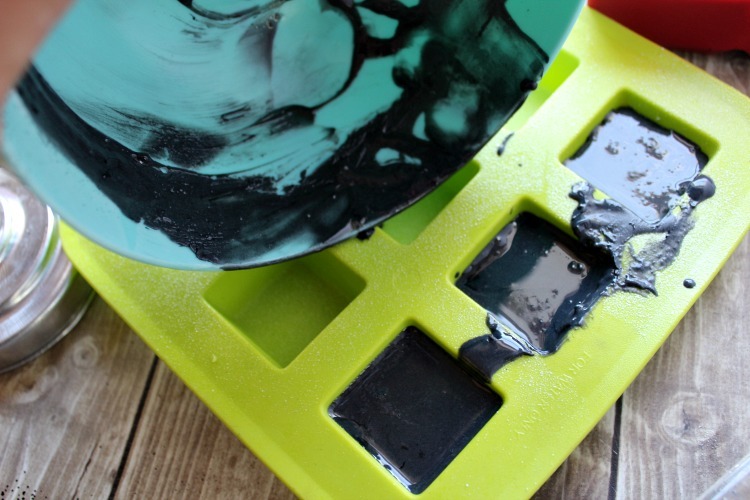 Remove the double boiler pan from the heat and stir in activated charcoal powder until completely mixed. Next, stir in the jojoba oil, rose water, glycerin and your essential oils. Quickly pour into your silicone mold, filling to the top. If you don’t have a silicone mold, you can use any kind of soap mold, an ice cube tray or even small paper cups to mold your soap. I find silicone molds are the easiest to remove the soap from and to clean up, with no waste afterwards. So I’d pick one up if you don’t have one yet. Allow your detox charcoal soap to set for several hours until completely hardened, then carefully remove your soaps from the mold. Use your detoxifying soap bar morning and night to help purify and detox your skin. Generously lather soap over damp skin, splash water to rinse and pat dry. Follow up with your favorite moisturizer to lock in your healthy glowing skin! 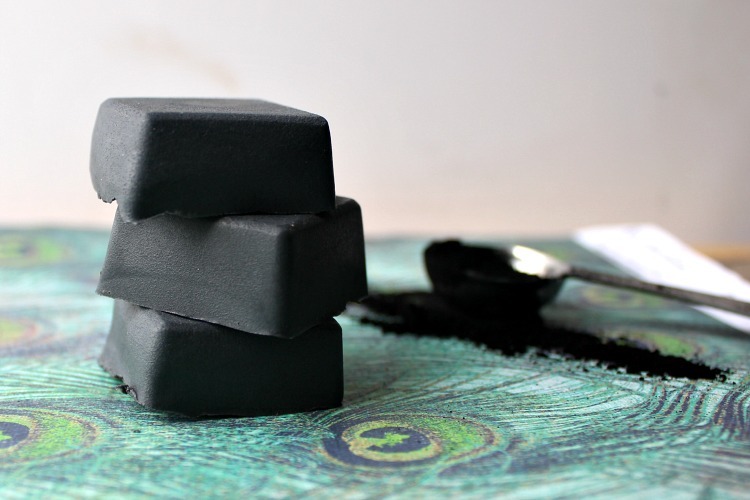 What essential oils do you like to add to your Detox Charcoal Soap? Buy pre-made Charcoal Soap Bars instead of making your own. Be sure to Pin this post to your DIY Beauty Board! I’ve been reading a lot about the skin benefits of activated charcoal. I’ve even seen it used in drinks, which I think is weird. I’ve been a bit skittish about soap making, but this seems doable!